Wow, I am on a roll. This is the third challenge in a row that I have participated in. The people who know me will know that is a huge feat in itself. LOL! 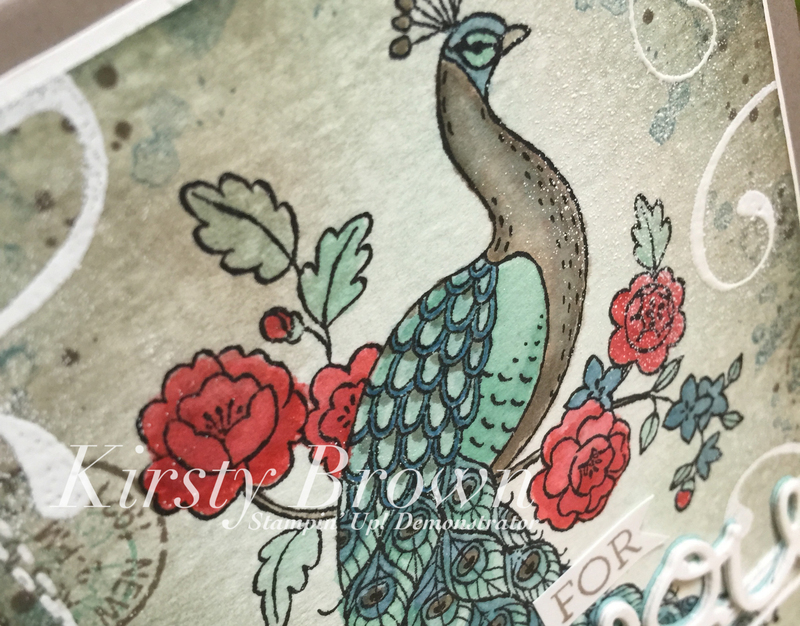 I decided to pull out the gorgeous Peacock stamp. I only played with it once and that was with the Blendabilities. This time I water coloured it. This was lots of fun and I should do it more often. I love how the Watermelon Wonder flowers really pop. I also deliberately did messy embossing. 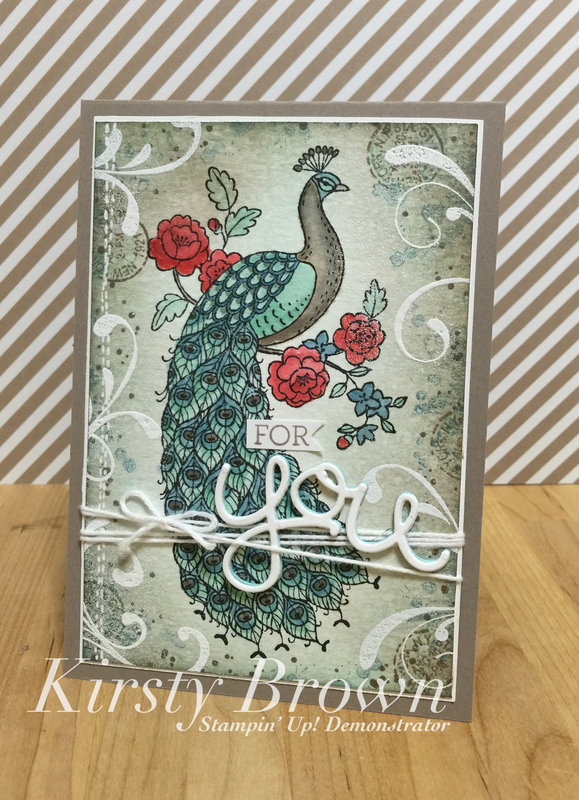 I wanted extra texture and having splatter of white embossing was perfect. 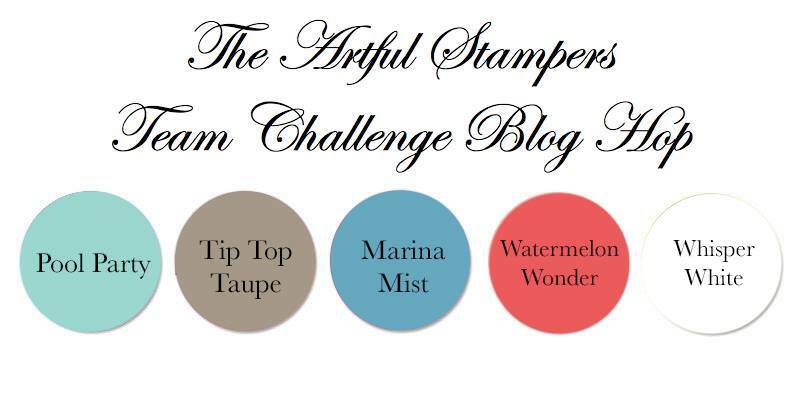 I used five different stamp sets to create this one. Can you guess them all?